Nido explores how small-scale production systems can enable social mobility and improve quality of life in Mexico. It focuses on the development of architectural, social and economic infrastructures that are geographically and culturally appropriate. 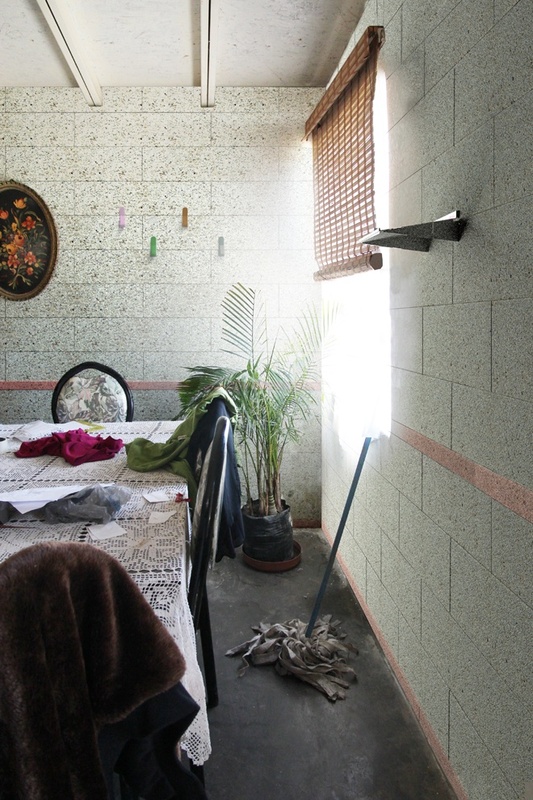 With indoor winter temperatures of 10°C and no central heating systems, houses in the north of Mexico are in need of thermal management systems. 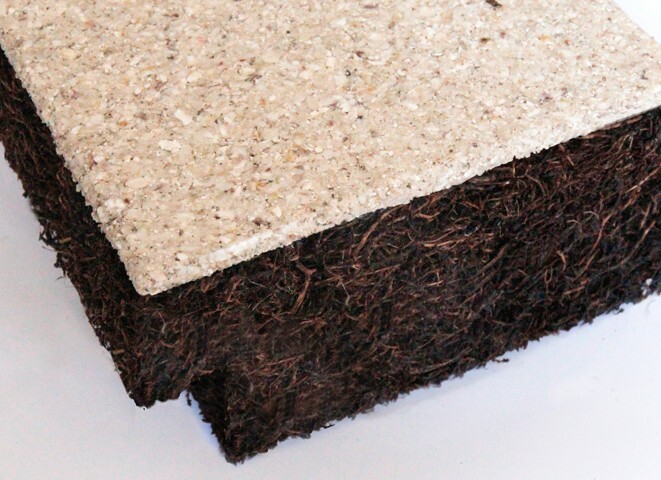 The social enterprise developed uses local industrial waste as the source material for creating a novel modular insulating product that can be easily installed by home owners. The manufacturing method is simple and linked to the education system, providing paid working opportunities that encourage youth to stay in school. 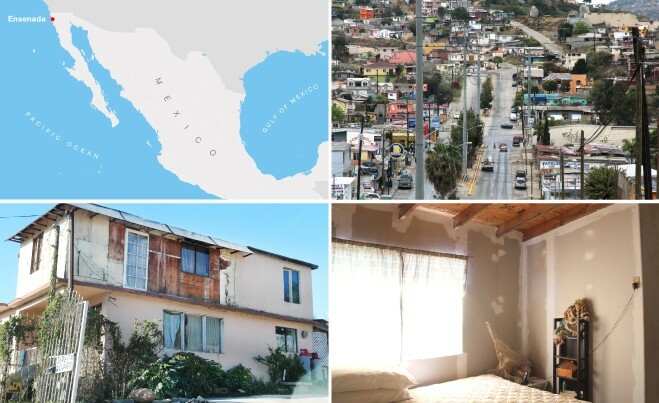 Despite having the 14th strongest economy in the world, 46% of Mexicans live below the national poverty line. The country is rich in opportunities, resources and labour force, but the appropriate distribution channels are not in place. This project connects the need for fairer economic distribution systems to the daily necessities of the inhabitants. Shown above are typical examples of improvised housing in unplanned city areas. Often built with a single layer of breeze blocks, chipboard or found materials, they maintain temperatures of approx. 10-13 °C during winter months. These houses belong to the new middle class, comprised of households capable of making small investments to improve their quality of life, opening up the opportunity to strengthen a local economy from within. Ensenada produces 90% of the wine in Mexico. As a result, 500-800 tons of grape stalks are discarded as industry waste every year. These can be processed into a material that with a thermal conductivity of 0.08 W/mK acts as an effective insulator. 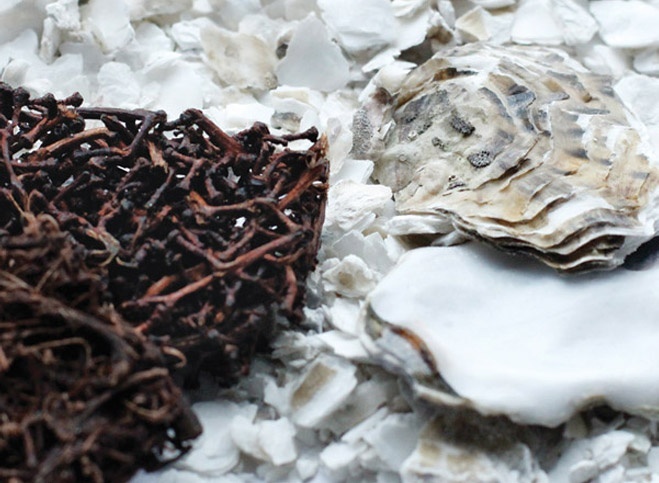 Seashells are another waste product that can be found locally in large scales. Every day, the seafood industry discards approximately 13 tons of shells. These are crushed and bound to make the cladding of the insulating tile. 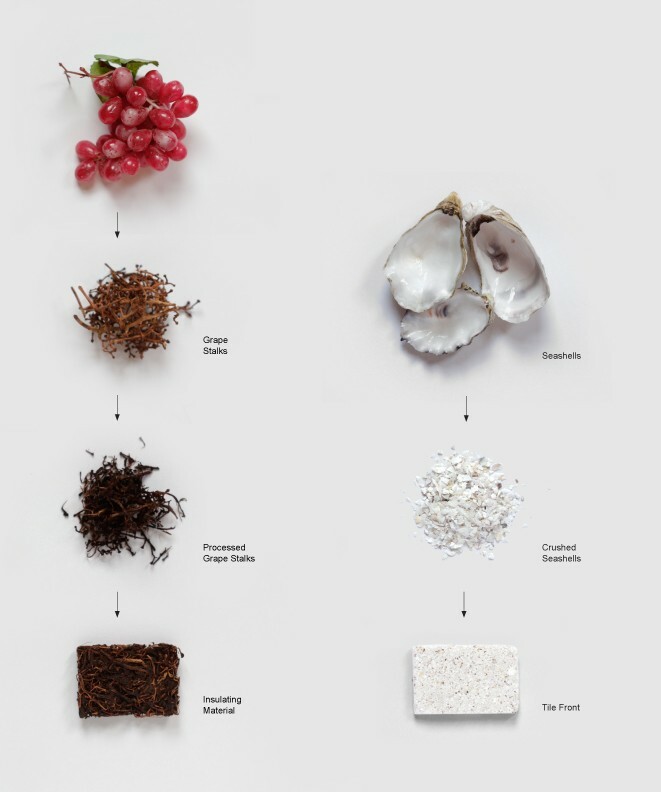 “Nido” (Spanish for nest) is a novel modular insulating product. 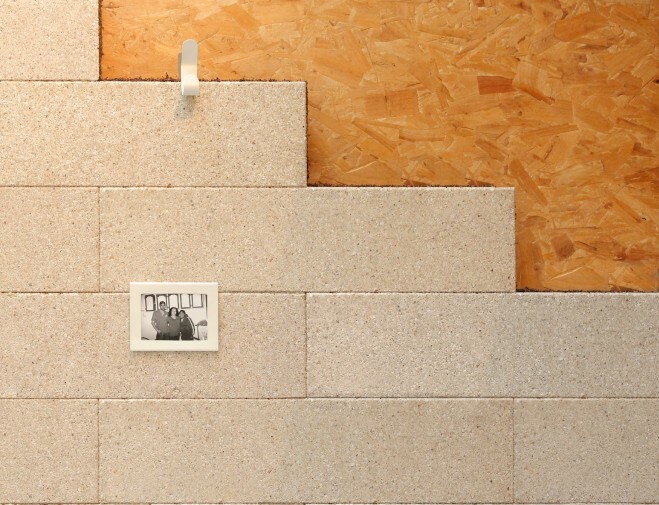 The tiles can be easily manufactured in low-investment workshops and installed directly by home owners.